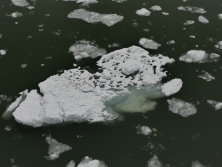 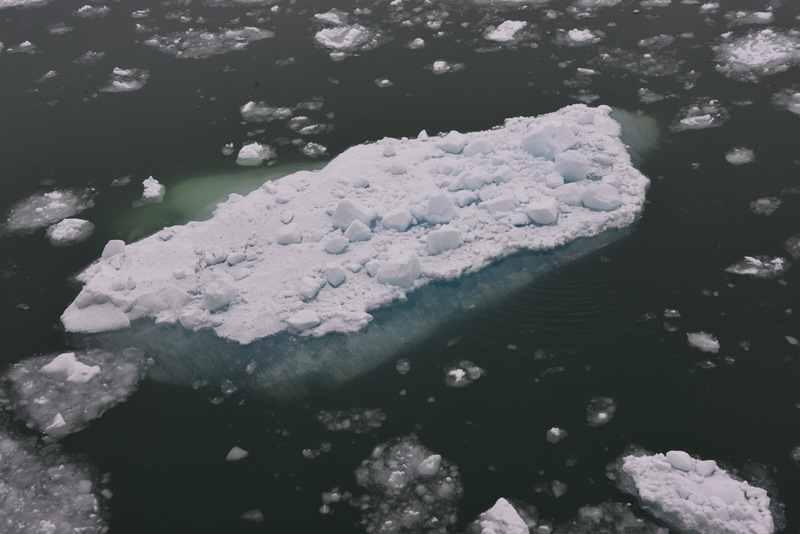 During this part is of the cruise, we were out on deck with binoculars and camera in hand to watch the Captain expertly maneuver through the slalom course of islands and channel markers, dodge brash sea ice and bits of ice bergs as we pass by the glaciers. 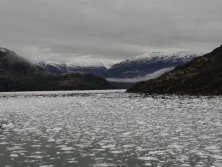 We saw lots of birds and the Chilean dolphins and even a whale or two. 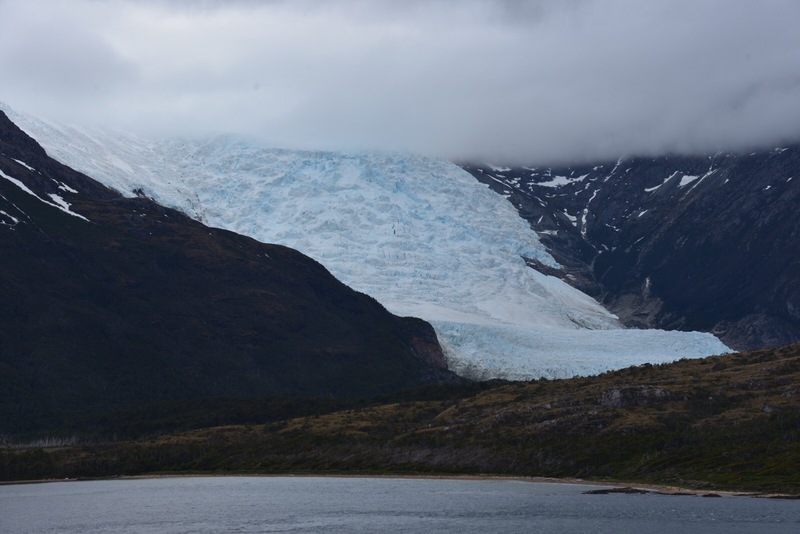 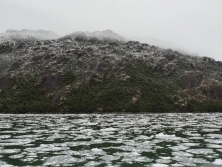 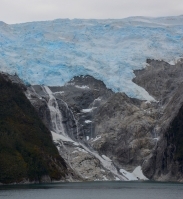 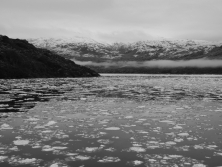 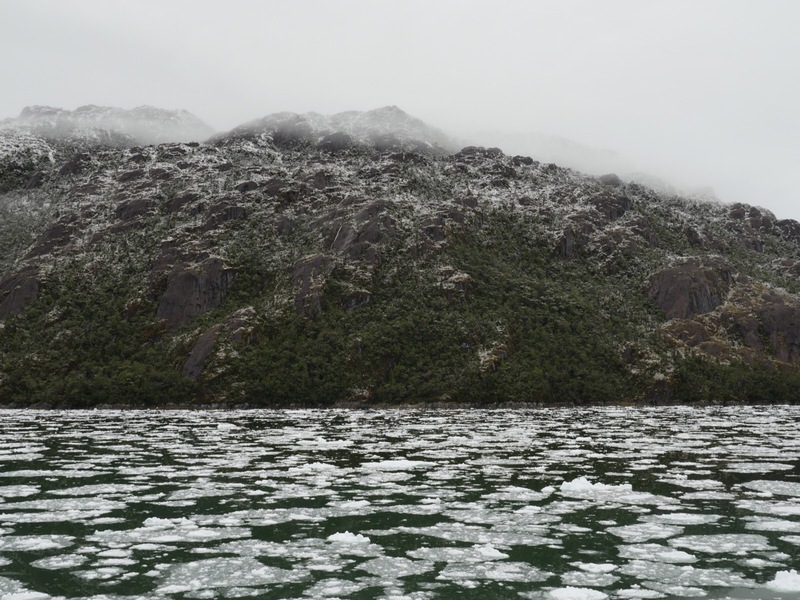 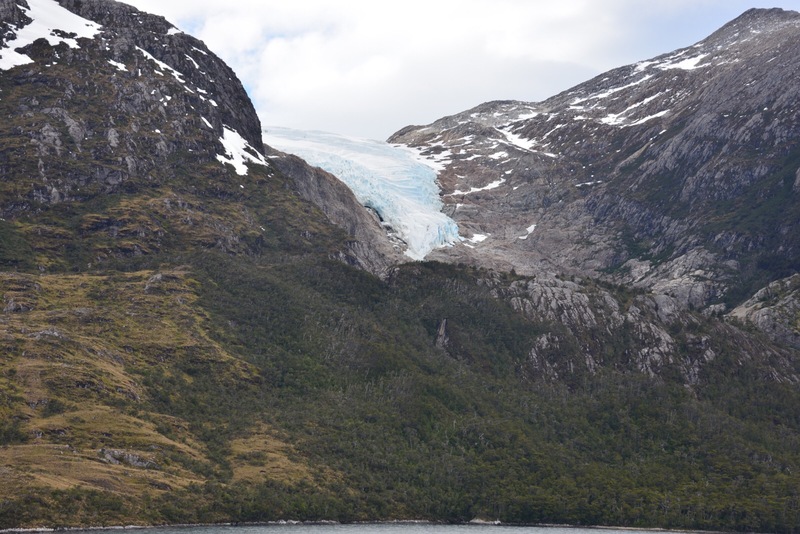 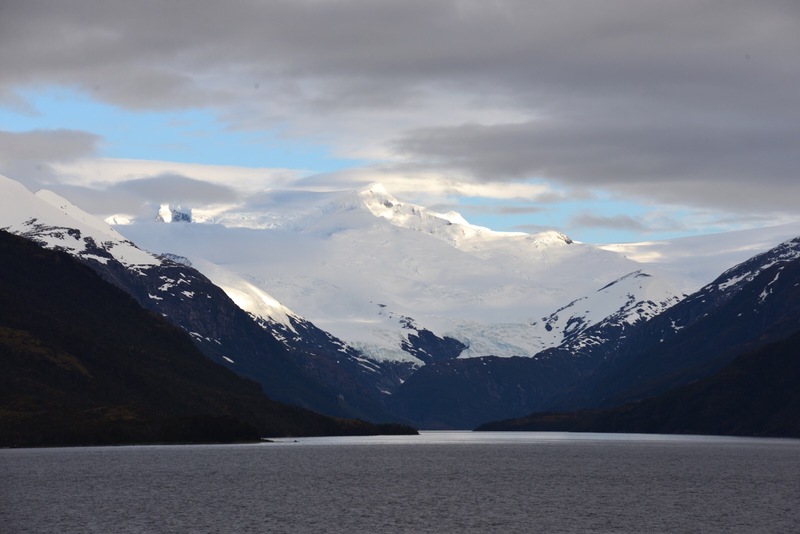 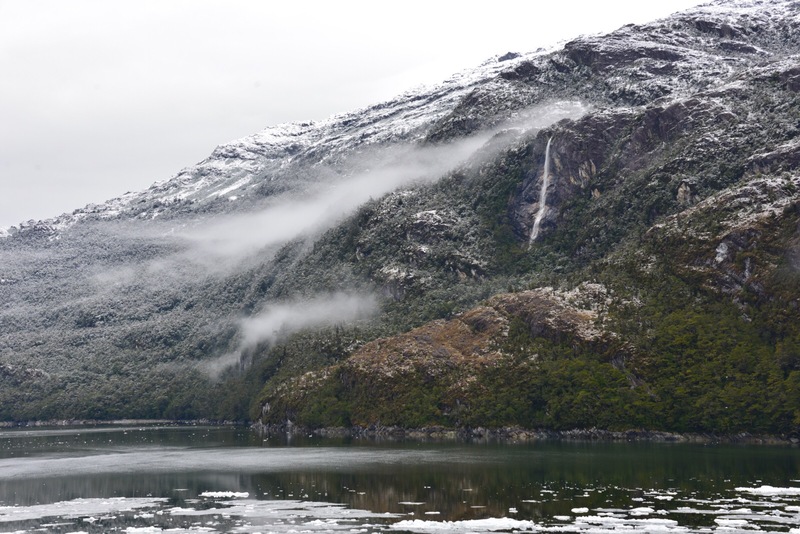 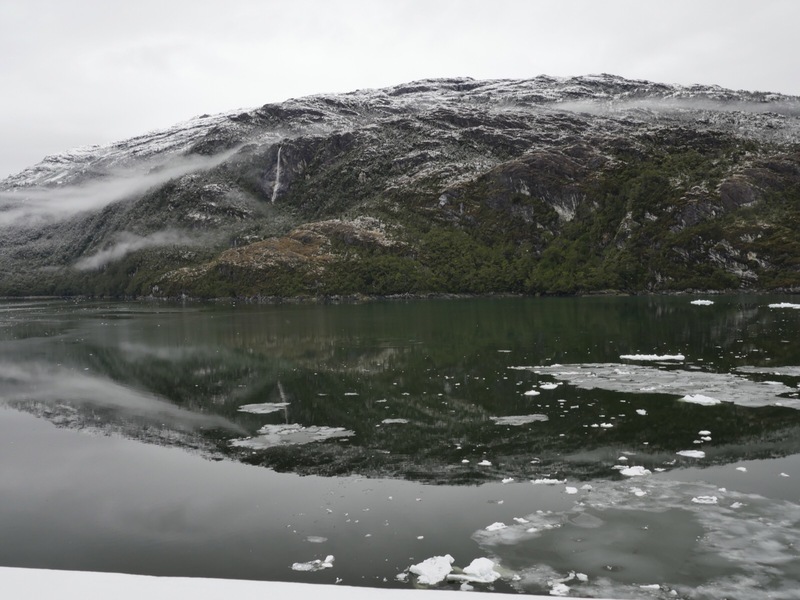 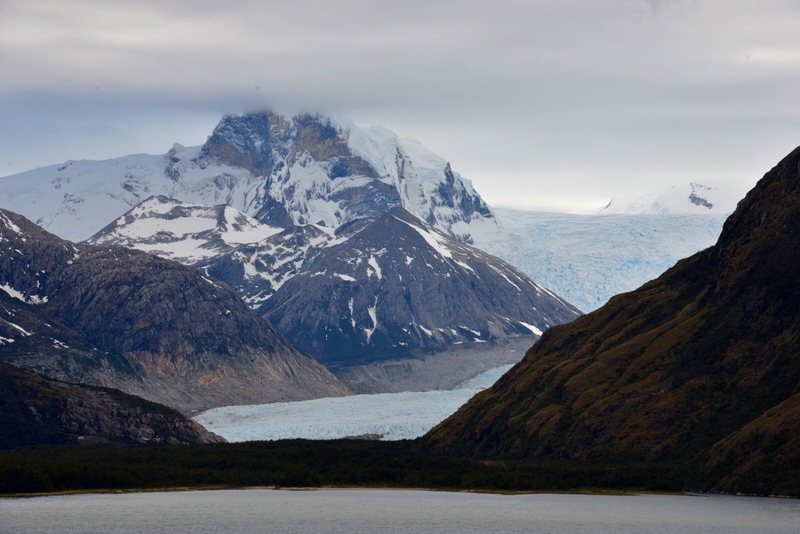 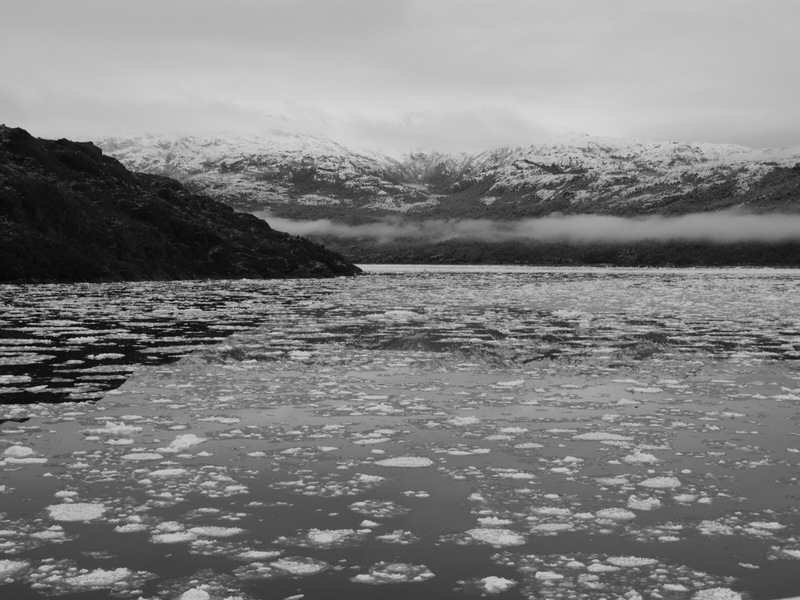 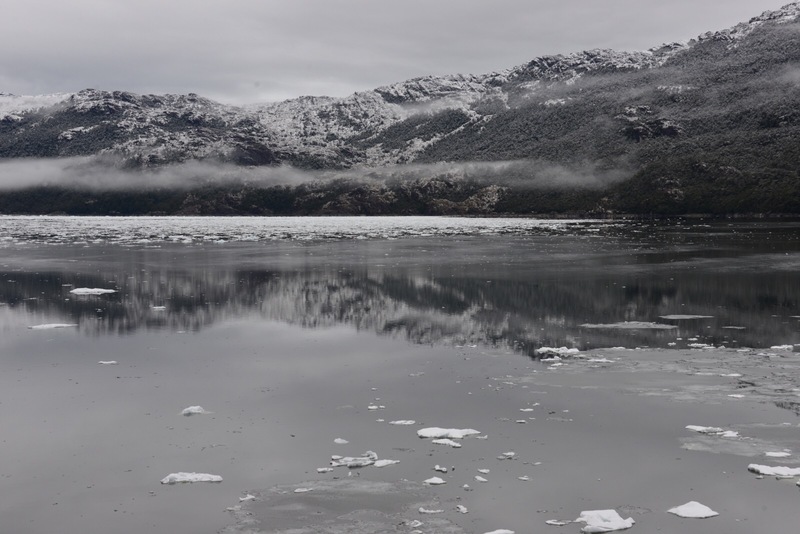 We saw hanging glaciers, (those that suspend above the water) with ribbons of waterfalls snake down the steep mountainsides; and tidewater glaciers (those that end in water and calve). 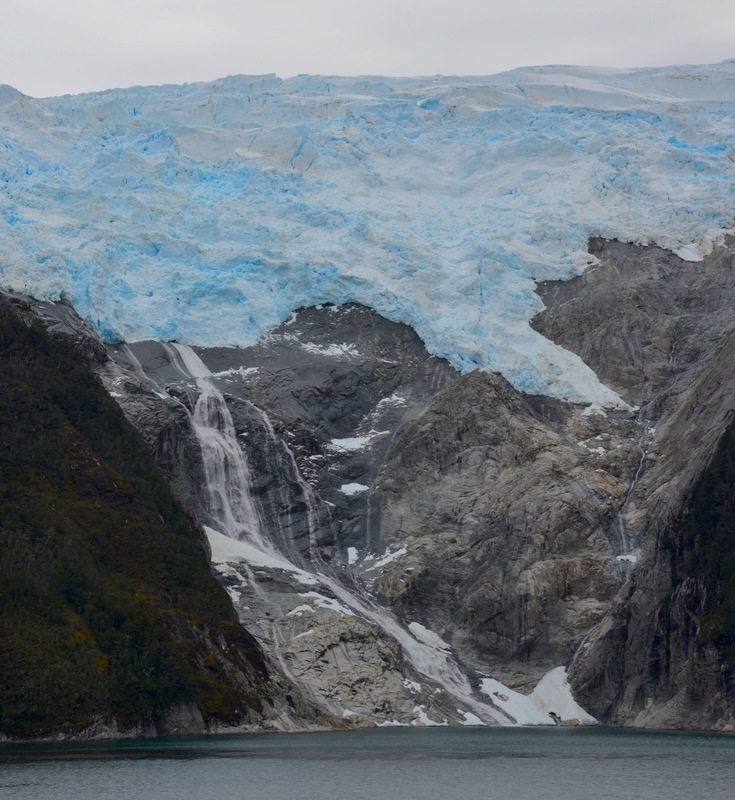 All these are “outlet glaciers”, glaciers originating in the South Patagonian Ice Field and show a remarkable shade of brilliant blue. 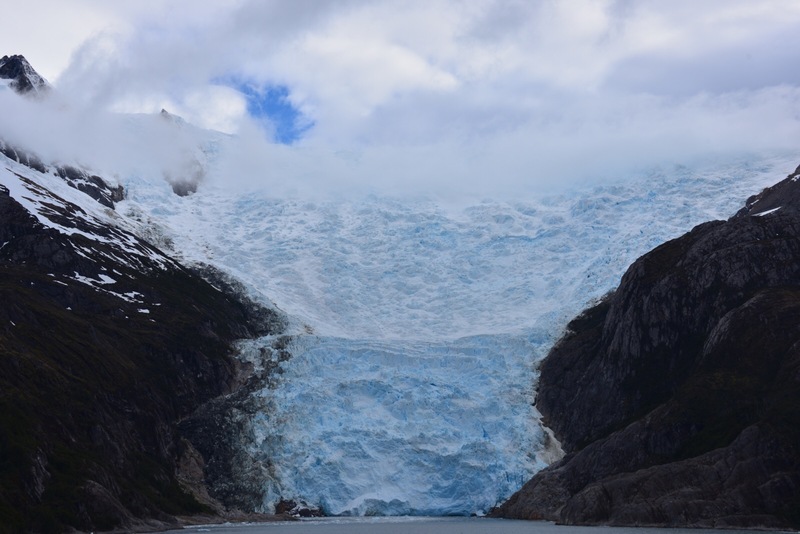 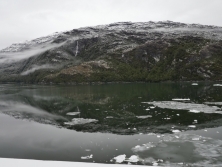 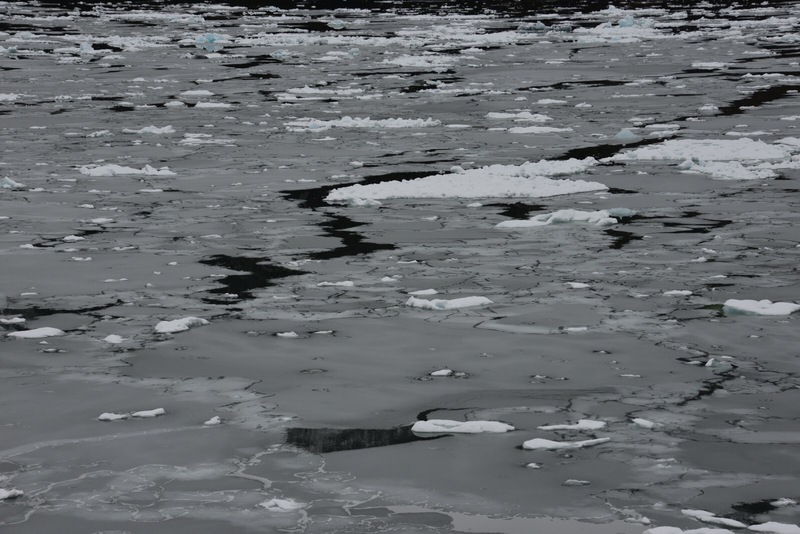 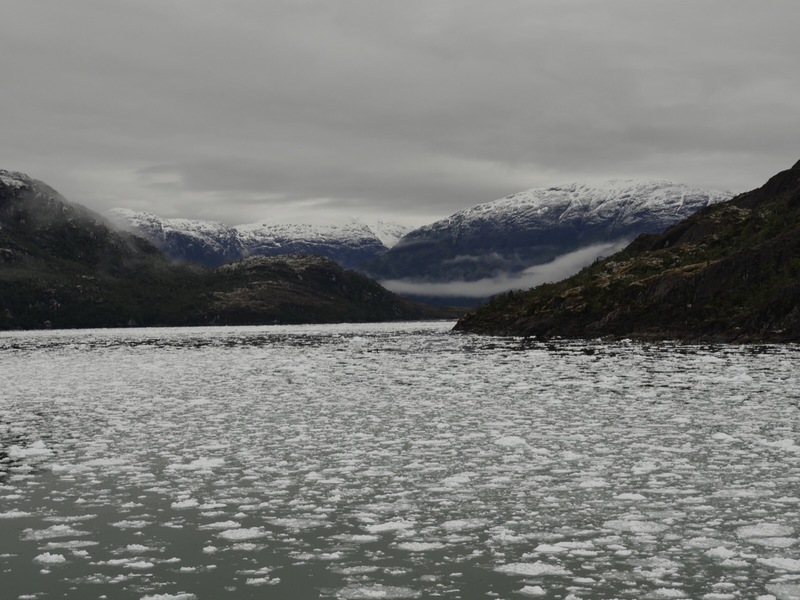 One interesting thing I learned is the icy bits in the water give off a fizzing sound along with bubbles, the result of the glacier ice re-oxygenizing after years of a compressed state. 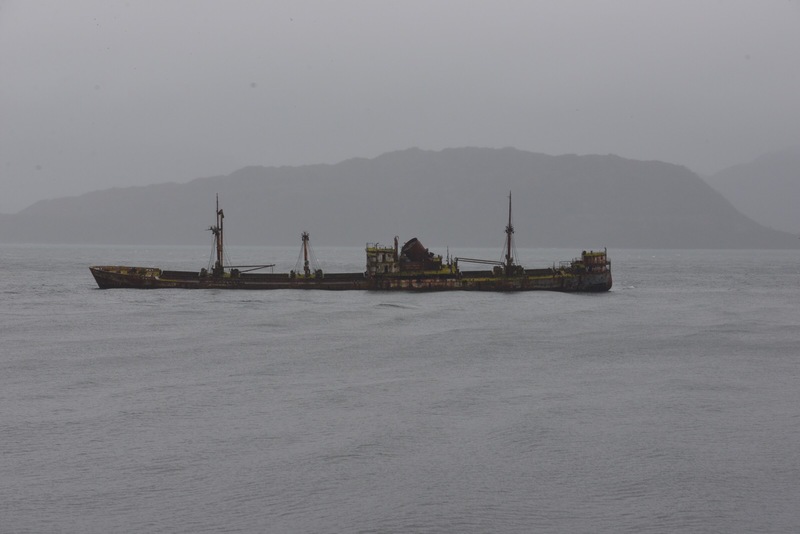 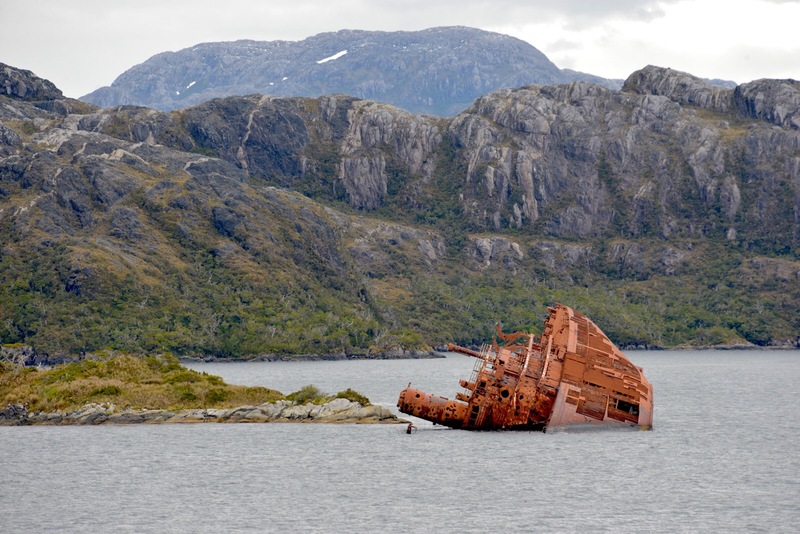 We also passed the area of two ship wrecks. 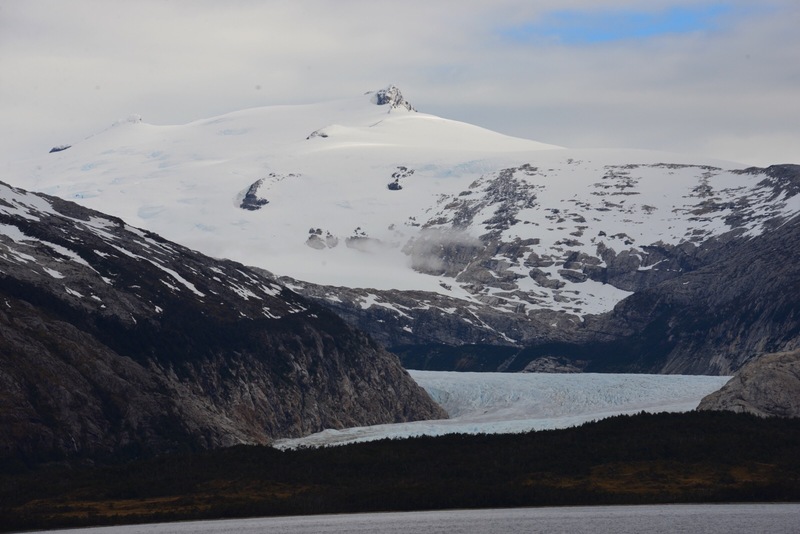 Holland America brought on professionals to enrich this journey with daily presentations. 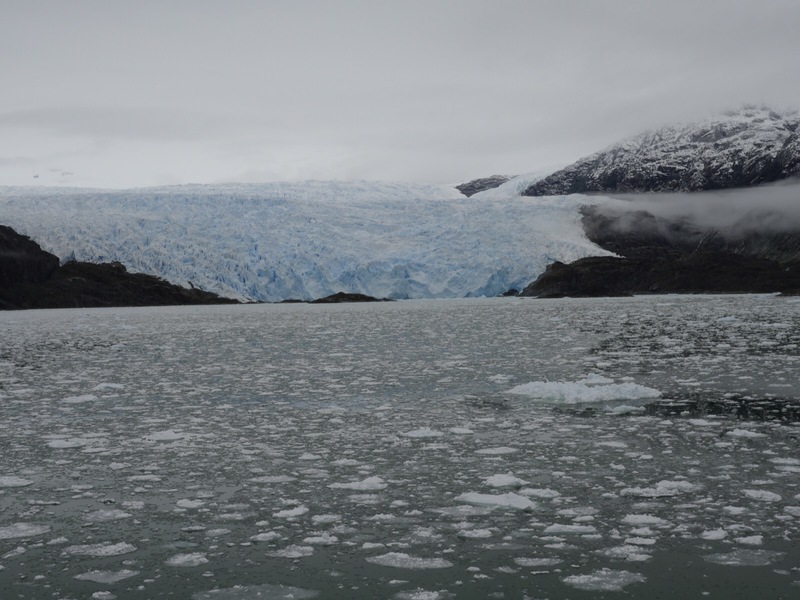 The presentations were by specialists and naturalists in the following areas: sea ice and icebergs; penguins; facilities and research centers in Antartica; and Antartica now and then. 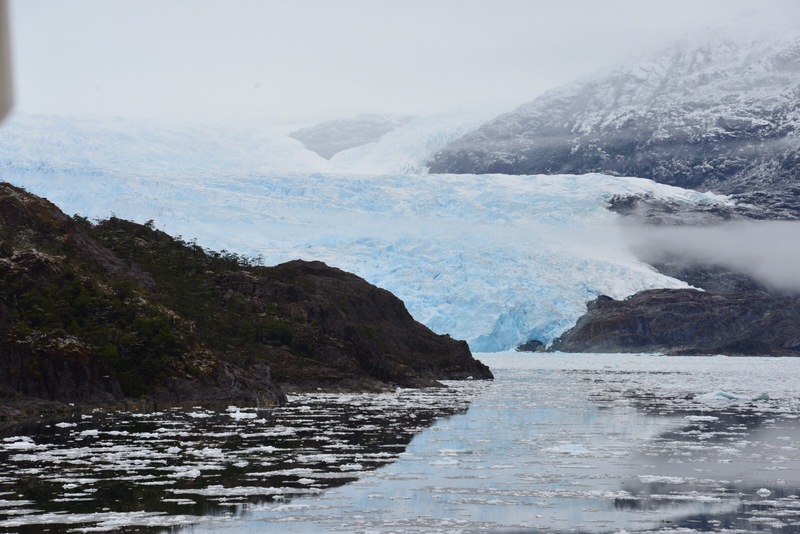 The lectures were a highlight of the cruise giving us a better understanding of Antartica and surrounding areas. 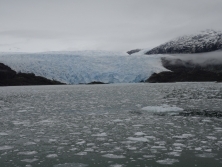 It seemed impossible that we would find larger glaciers one after the other . . . . Oh we were so naive. 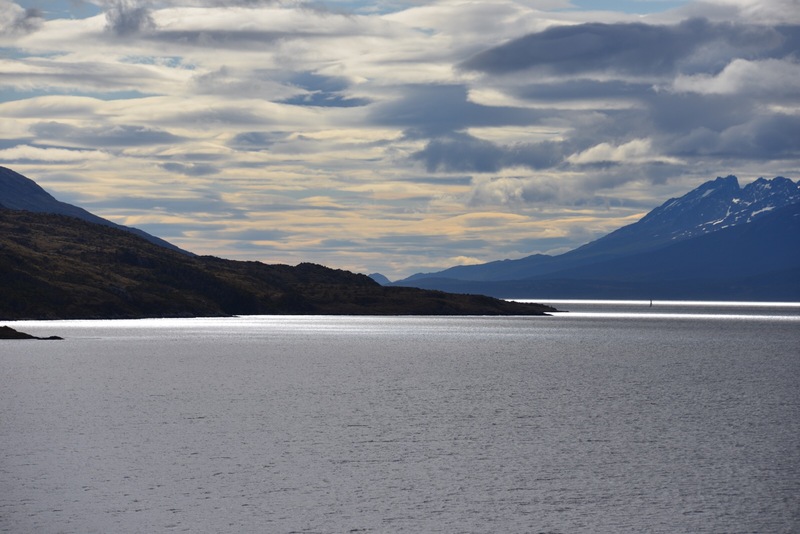 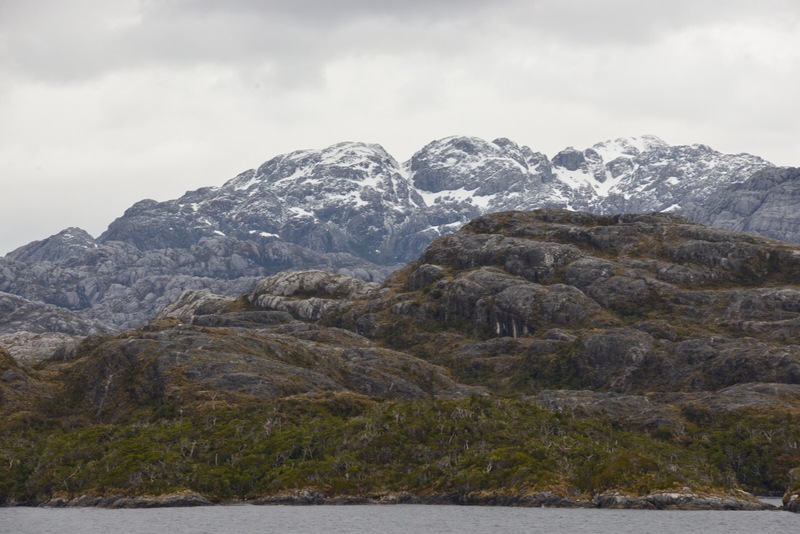 Our next post takes us to the end of the world including Cape Horn, the southern tip of South America before cruising further south beyond 60 degrees south latitude.